Artistic, high quality, professional painting services in the Florida Keys. TLC FL Keys painting contractors specialize in creating custom finish decor and home designs for Florida Keys house painting, home remodeling, door and cabinet refinishing, murals, faux, more. TLC painting services have been used in Florida Keys construction of new homes and high end renovations for many years. Custom interiors, glazing, murals, venetian plaster, exteriors... beautiful home designs and paint finishes. Jeanne Hall - owner, licensed, insured painting contractor. 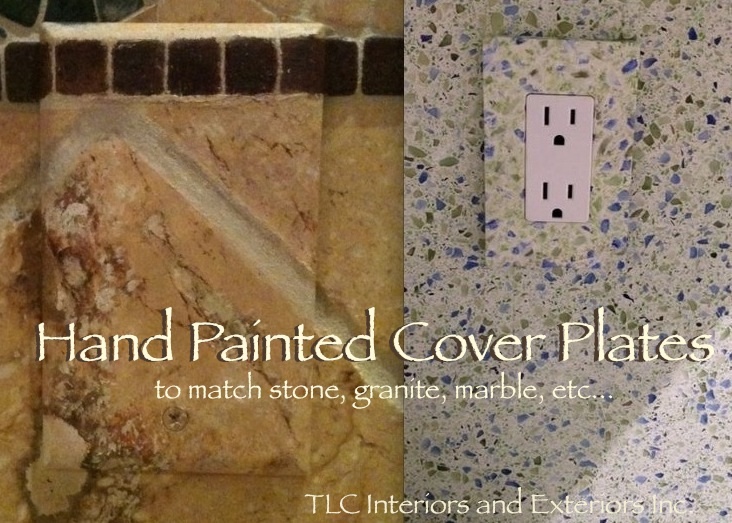 Skilled in advanced faux finishes, fine Italian venetian plasters with marble, glazing techniques, faux painting and more... Timeless Luxury Creations (TLC) painting services are used by top Interior designers. Florida Keys builders have contracted their painting services over and over, as well as home owners. 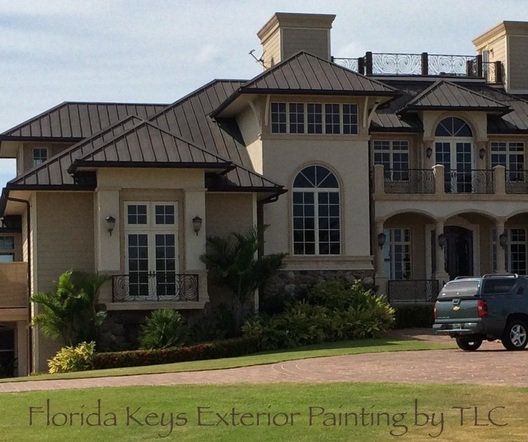 Pure artistry, dedication to their clients, Florida Keys painting service from TLC is top quality. Custom faux finishes by TLC painting contractors. Florida Keys painters, venetian plasters for exterior and interior, surface applications and repairs, for FL Keys home improvements and new construction in Marathon and all surrounding Keys. Florida Keys painters Marathon FL, covering all the islands. Waterproofing, exterior painting, surface repairs, pressure cleaning, interiors, decorative painting, muralists, faux finishing, Italian plastering, more! Meticulous, clean work, decorative painting services and finishes. In south Florida, high end painting services for Florida Keys homes, luxury hotels and businesses. One of the premier Florida Keys painting contractors, Jeanne Hall, artist, creator, Florida Keys painter... her custom art for home decorating is featured throughout the Islands. Owner of Timeless Luxury Creations, she and her talented crews' artistic works, are featured at Ocean Reef club, in luxury Key Largo homes and locations from the upper Keys to Key West and throughout the Florida Keys. 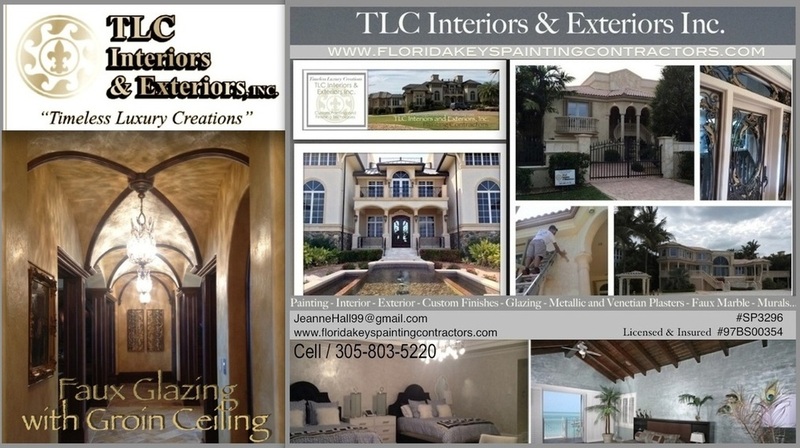 One of the top Florida Keys painting contractors, Timeless Luxury Creations (TLC) excel in Florida Keys home decor. For new construction in the FL Keys, remodeling, and home improvements, Marathon painting contractor TLC serves all the islands and their works are displayed in numerous resorts, hotels and FL Keys homes. Waterproofing and maintaining your home's exterior is a must. Top references and twenty plus years in business... free estimates, call TLC. Website Designs and SEO by Robyn Fear. Copyright 2014-2018. All rights reserved.